In centuries past, royal artists portrayed monarchs as grand, imposing and often rather stern. 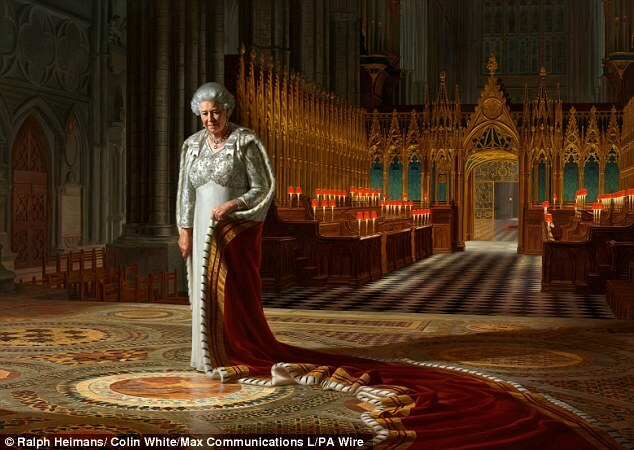 But the latest portrait of the Queen pictures her in a moment of quiet reflection as she stands on the spot in Westminster Abbey where she was crowned 60 years ago. 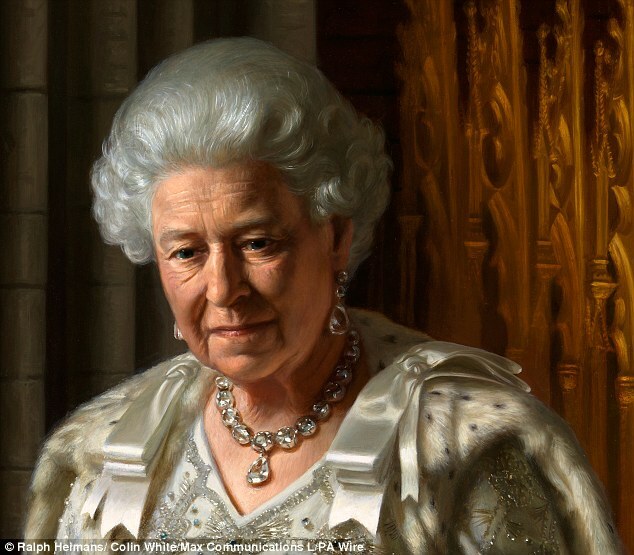 Artist Ralph Heimans said he sought to capture 'her humanity' in the 9ft by 11ft portrait, commissioned by the Palace to mark the Diamond Jubilee. 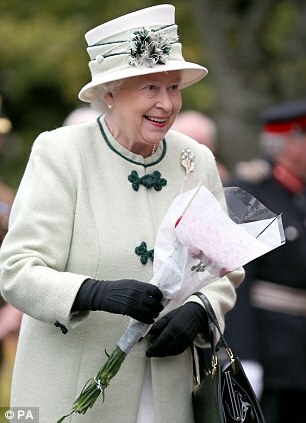 Her majesty posed for an hour-long sitting in The Yellow Drawing Room, at Buckingham Palace, in March. Mr Heimans then imagined the dramatic backdrop – the Sacrarium at Westminster Abbey, also known as The Coronation Theatre. She stands on the Cosmati pavement – a spot where every English monarch has been crowned since it was commissioned by Henry III in the 13th century. Mr Heimans, said: 'I hope there is a degree of humanity uncommon in traditional Royal portraits. 'I wanted her expression to be open to interpretation so that people could imagine what she was thinking at that moment, but I think there is a sense of tenderness and soulfulness, as well as nostalgia and contemplation. 'But there is also a suggestion of her inner strength. 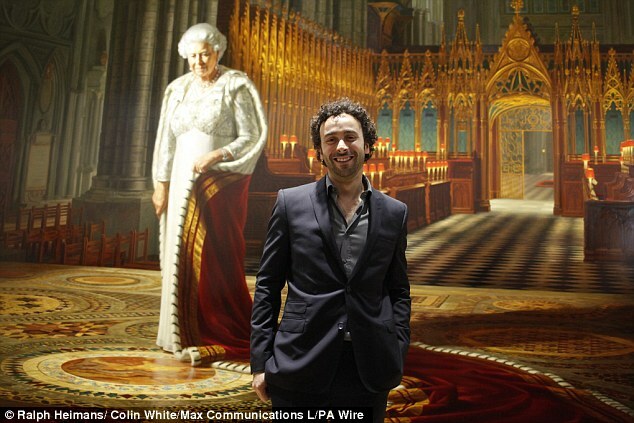 The painting is entitled The Coronation Theatre, Westminster Abbey: A Portrait of Her Majesty Queen Elizabeth II. The huge work of art was unveiled by Australian Governor-General Quentin Bryce at the National Portrait Gallery in Canberra, Australia. In spring it will then be brought back to London for display in the run up to marking 60 years since the Queen's Coronation in June. Mr Heimans, 42, said he wanted to 'produce a work of particular significance for the Diamond Jubilee'. The artist spent six months on the portrait, working up to 20 hours a day. Mr Heimans said: 'The Queen was very respectful of the artistic process and gave me complete freedom. 'When she arrived in all her regalia it was a spectacular moment. Last edited by Sir Drinkalot; 09-29-2012, 06:21 AM.